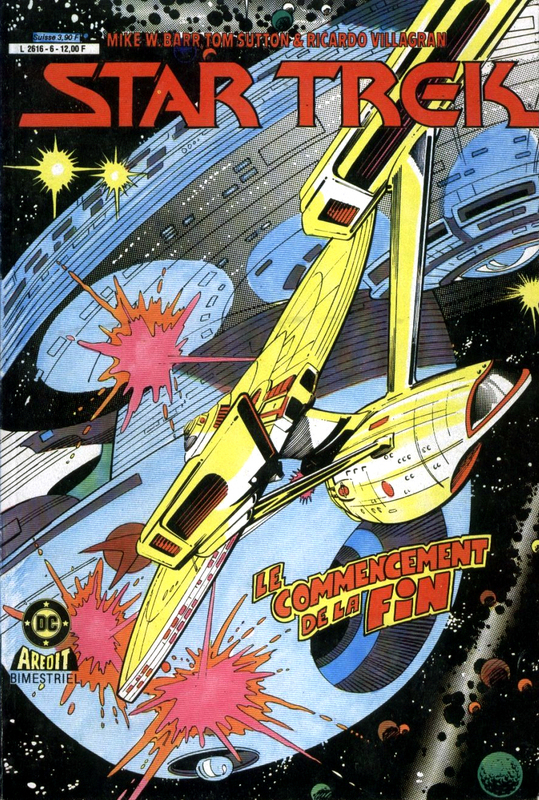 The following is a history of Star Trek comics published in France. 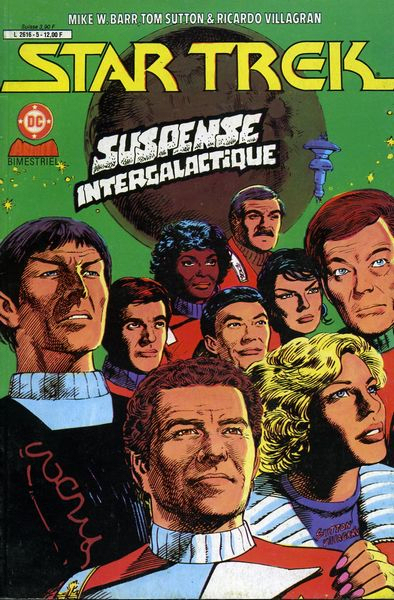 So far various French publishers have reprinted: Eighteen comics originally by Gold Key Comics, these have been reprinted several times; Twenty-one comics originally from DC Comics' first Star Trek series; and thirteen iusses (three miniseries and one stand-alone) from IDW Publishing. 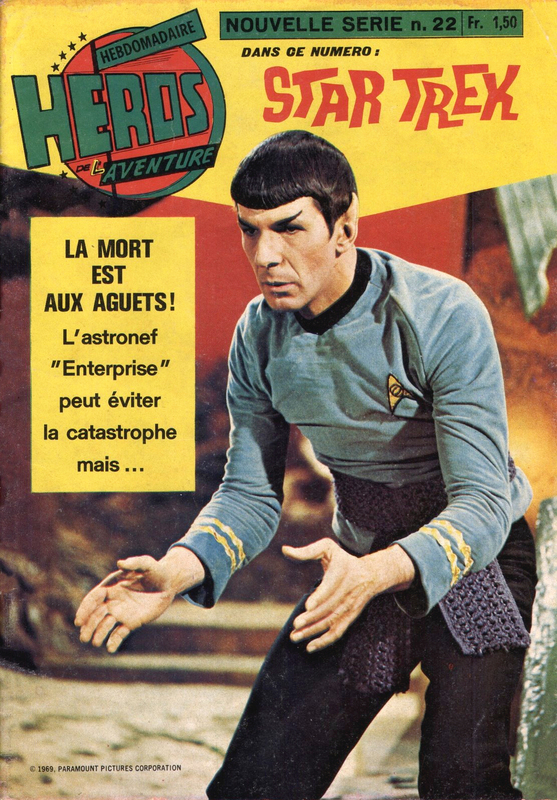 The first Star Trek comics published in French were found in a handful of issues of the second series of the magazine Les Héros de L'aventure, published by Éditions des Remparts in 1972. All were reprints of original Gold Key Comics titles; the first six issues. Contents: K-G, Planète de la Mort. 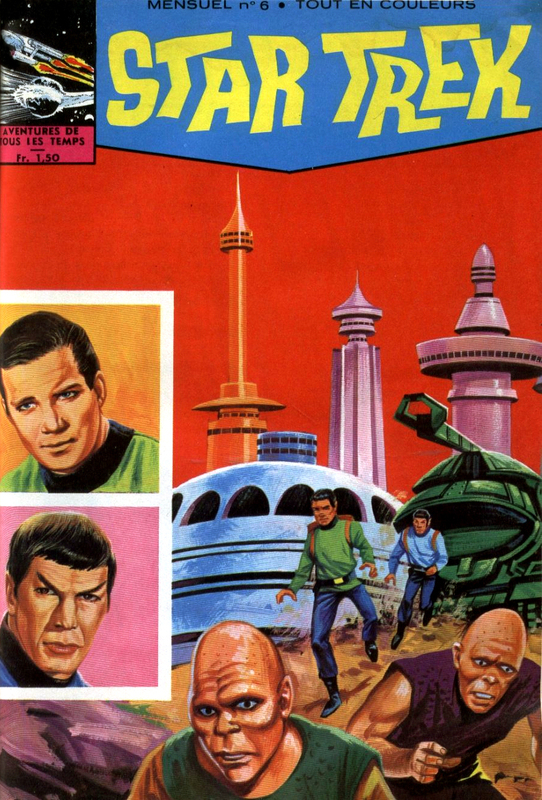 Original: GK#1, The Planet Of No Return - 1967. 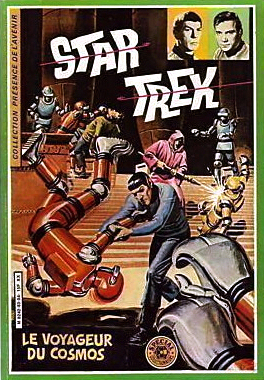 Cover: Original Gold Key cover art. 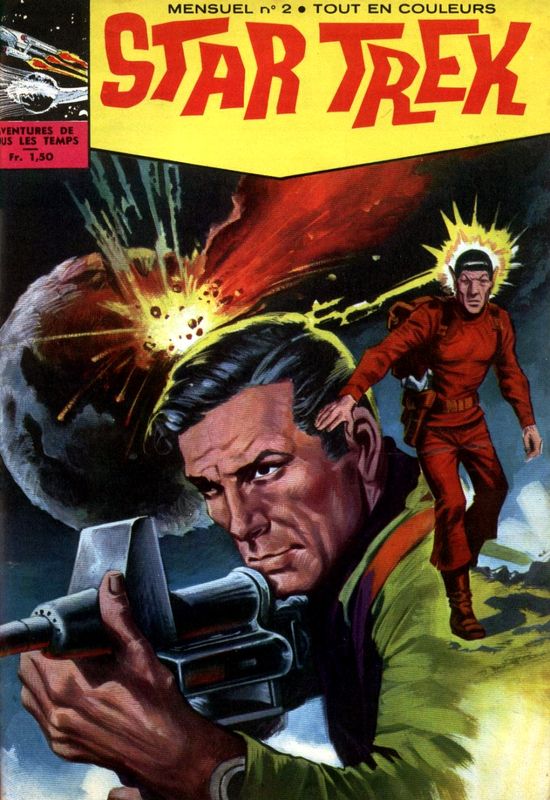 Original: GK#2, The Devil's Isle Of Space - 1968. Original: GK#3, Invasion Of The City Builders - 1968. Contents: Danger sur la planète Metamorpha. 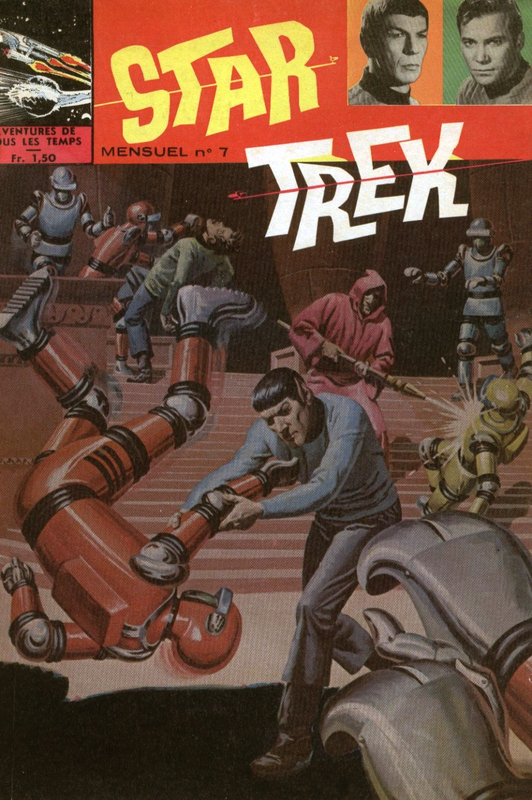 Original: GK#4, The Peril Of Planet Quick Change - 1969. 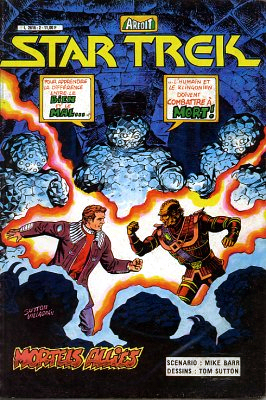 Original: GK#5, The Ghost Planet - 1969. 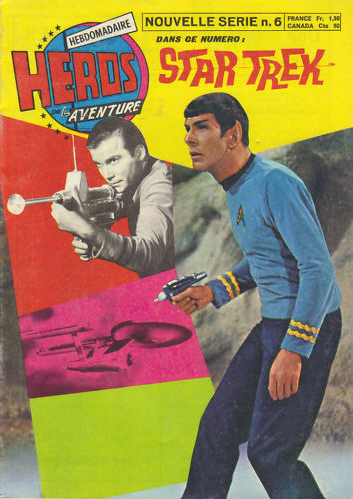 Original: GK#6, When Planets Collide - 1969. 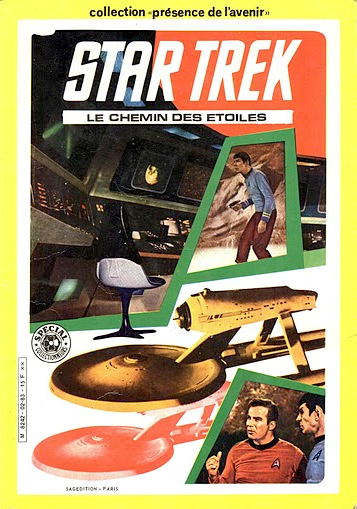 At the end of 1972 Éditions des Remparts launched a stand-alone Star Trek series, which ran for twelve issues, until 1975, again printing French editions of Gold Key comics, continuing on in the original published order from where the Les Héros de L'aventure series left off. 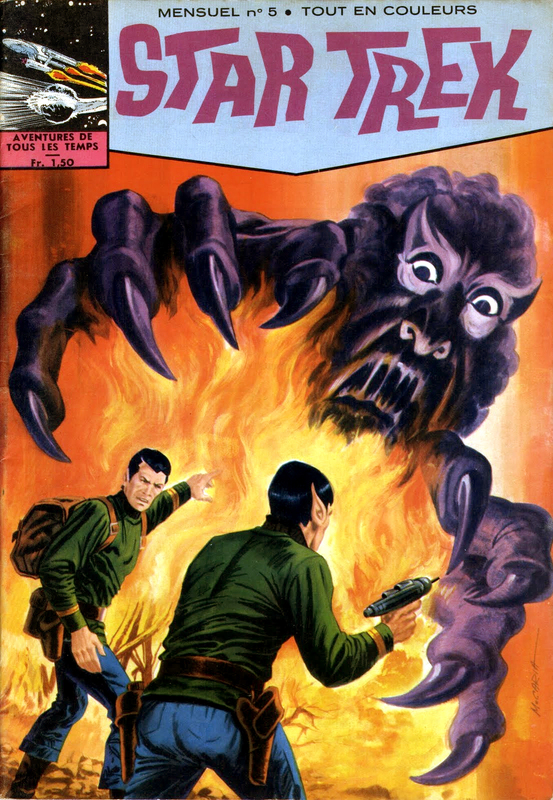 Original: GK#7, The Voodoo Planet - 1970. Original: GK#8, The Youth Trap - 1970. Original: GK#9, The Legacy of Lazarus - 1970. Original: GK#10, Sceptre of the Sun - 1971. Original: GK#11, The Brain Shockers - 1971. 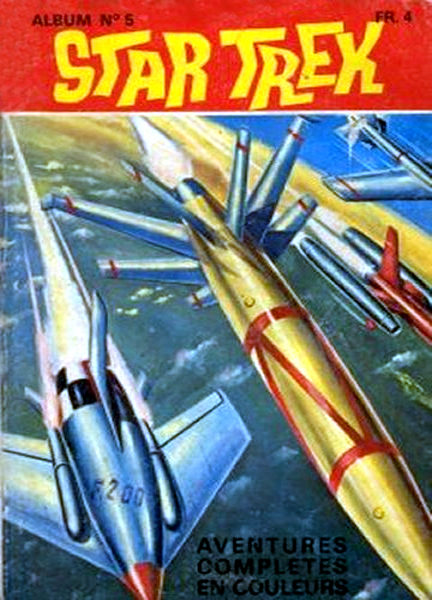 Original: GK#12, The Flight of the Buccaneer - 1971. 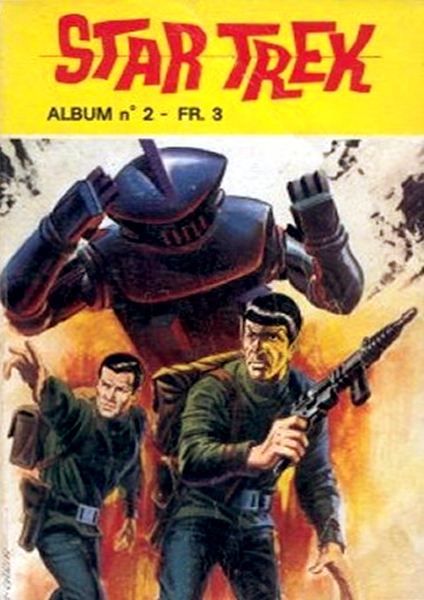 Original: GK#13, Dark Traveler - 1972. 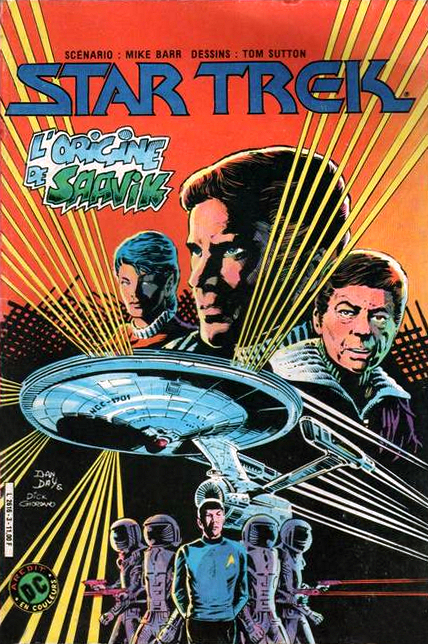 Original: GK#14, The Enterprise Mutiny - 1972. Original: GK#15, Museum at the End of Time - 1972. Original: GK#16, Day of the Inquisitors - 1972. 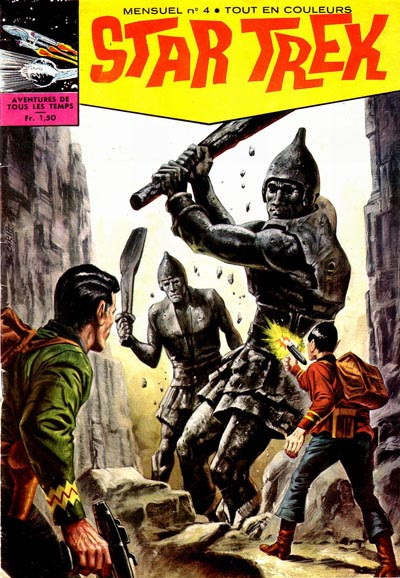 Original: GK#17, The Cosmic Cavemen - 1973. 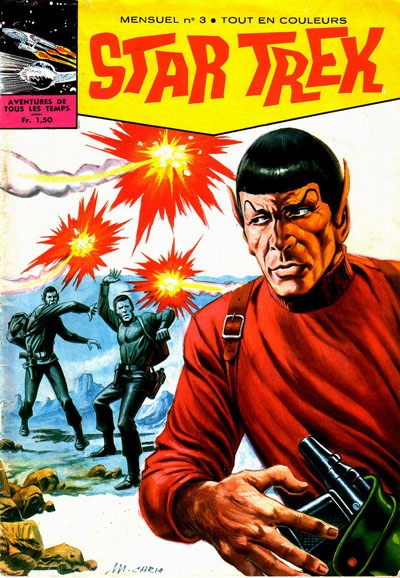 Original: GK#18, The Hijacked Planet - 1973. 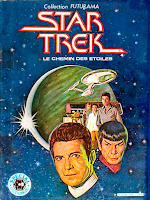 In addition to individual issues Éditions des Remparts also published omnibus editions in the 1970s. 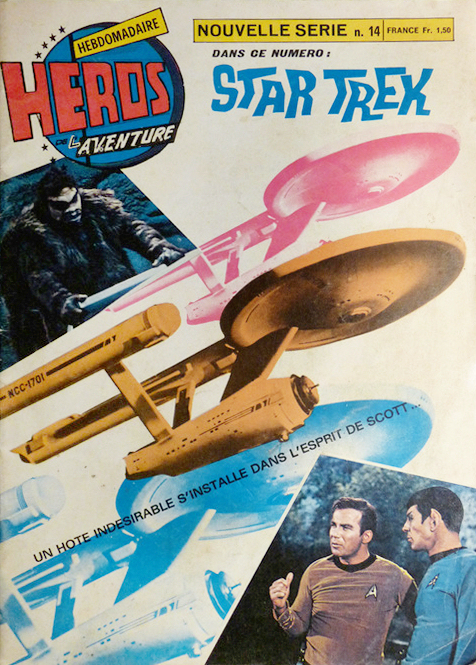 These books were made by binding together individual issues, and over five books collected together all the comics published by Remparts in both the Les Héros de L'aventure and Star Trek series. 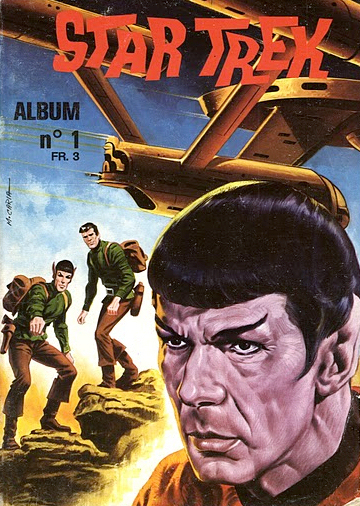 One Star Trek issue was also bound in the first album of the Magnus series. Contents: KG, planète de la Mort, L'île du Diable, L'invasion des Constructeurs de Villes, and Danger sur la Planète Metamorpha. 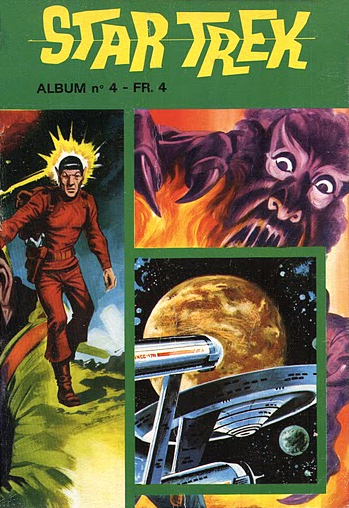 Original: GK1: The Planet Of No Return, GK2: The Devil's Isle Of Space, GK#3: Invasion of City Builders, and GK4: The Peril Of Planet Quick Change - 1967-1969. Contents: La Planète Fantôme, Collision de Planètes, La Planète Vaudou, and La Machine à Rajeunir. 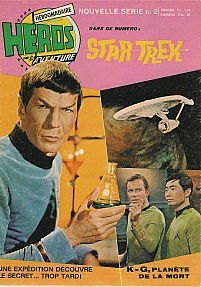 Original: GK5: The Ghost Planet, GK6: When Planets Collide, GK7: The Voodoo Planet, and GK8: The Youth Trap -1669-1970. Contents: L'héritage de Lazarus, Le Sceptre du Soleil, Les Émotions Dangereuses, and La Planète Pirate. Original: #9 The Legacy of Lazarus, #10 Sceptre of the Sun, #11 The Brain Shockers, and #12 The Flight of the Buccaneer -1971. 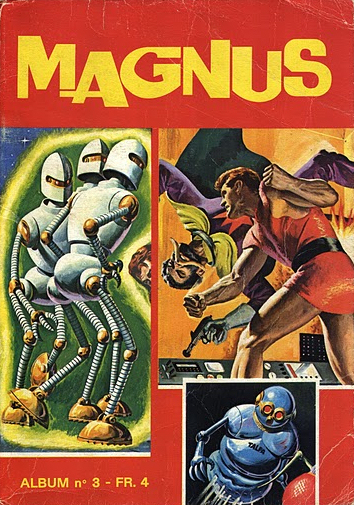 Plus an issue of Magnus. Cover: Original Gold Key cover art for GK#4, with inserts by Mario Caria. Contents: Le Voyageur de L'univers, La Mutinerie de L'Enterprise, and Le Musée des Vaisseaux Perdus. 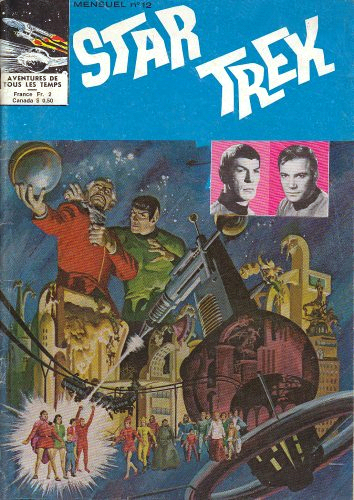 Original: GK#13 Dark Traveler, GK#14 The Enterprise Mutiny, and GK#15 Museum at the End of Time - 1972. Contents: La Journée des Inquisiteurs, Les Hommes de la Caverne du Cosmos, and La Planète Volée. 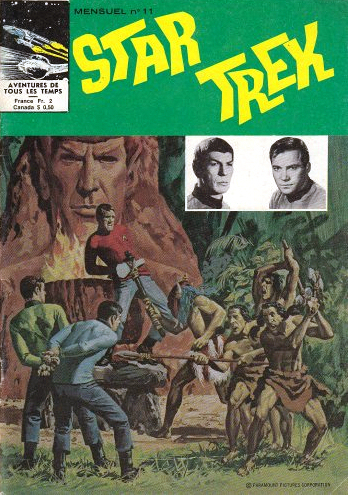 Original: GK#16: Day of the Inquisitors, GK#17: The Cosmic Cavemen, and GK#18: The Hijacked Planet - 1972-1973. Contents: L'invasion des Constructeurs de Villes (plus three isues of Magnus). Original: GK#3: Invasion of City Builders -1968. 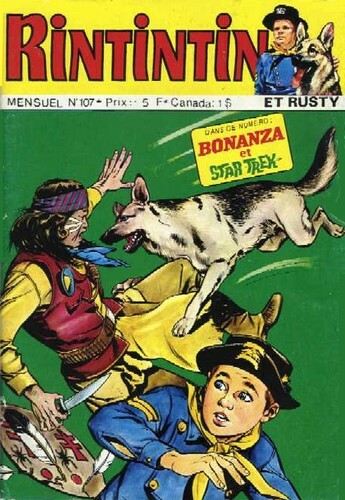 The next Star Trek comics published in French came in 1978, found in issues of the second series of the magazine Rin Tin Tin et Rusty published by Sagédition from 1970 to 1985; although all the issues with Star Trek content were published in 1978. 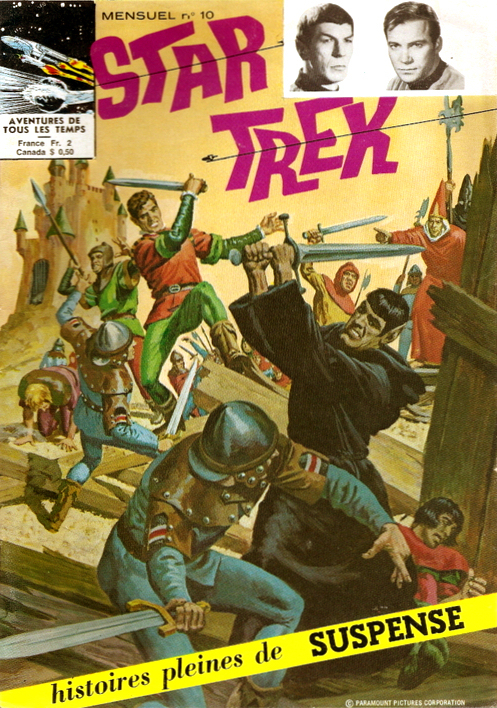 All were again reprints of original Gold Key Comics titles, and all had previously been printed by Remparts. Contents: La Planète Sans Retour. 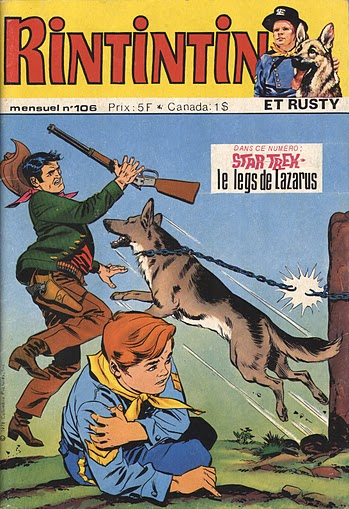 Contents: Le Legs de Lazarus. Original: GK#9, The Legacy of Lazarus - 1971. 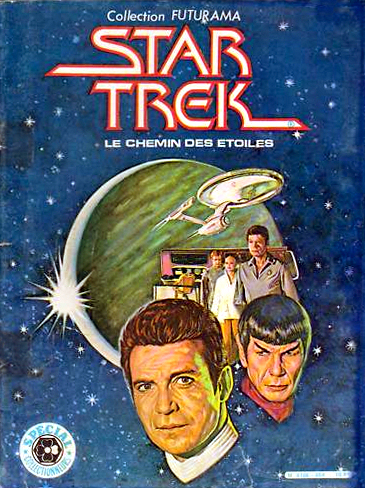 Sagédition also started to publish a series of Star Trek omnibuses, Collection Présence de L’avenir, in 1978. 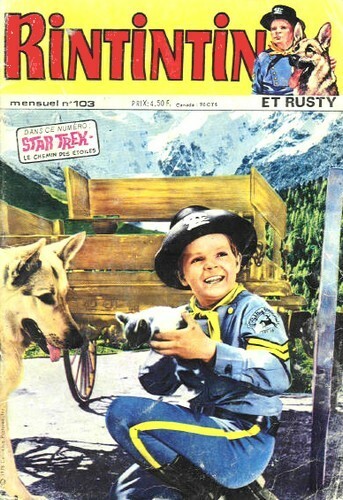 There were three books in the series, all once again printing original Gold Key comics, and all had also been previously published by Rampart. 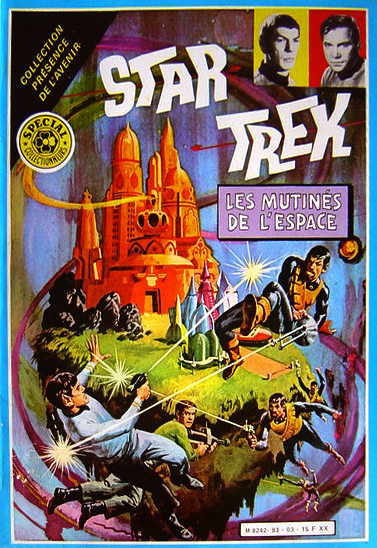 In 1980 Segédition also published a French translation of Marvel Comics' adaptation of Star Trek: The Motion Picture. Contents: L'invasion des Constructeurs de Villes, and Danger sur la Planète Metamorpha. Original: GK#3 Invasion of City Builders, and GK#4 The Peril Of Planet Quick Change - 1968-1969. Cover: Photomontage, including GK#4 cover. Contents: La Mutinerie de L'enterprise, Le Musée des Vaisseaux Perdus, and Le Voyageur de L'univers. Original: GK#14: The Enterprise Mutiny, GK#15: Museum at the End of Time, and GK#13: Dark Traveler (part 1) - 1972. 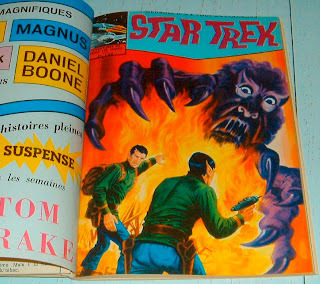 Cover: Original Gold Key cover art for GK#15. 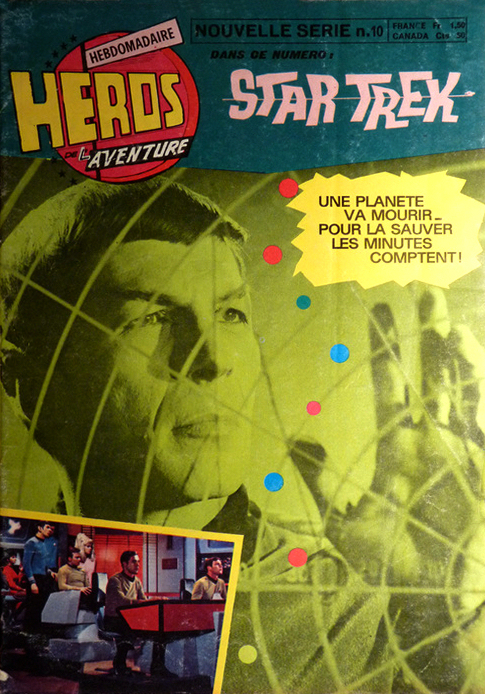 Contents: La Planète Volée, La Planète Pirate, and Le Voyageur de L'univers. 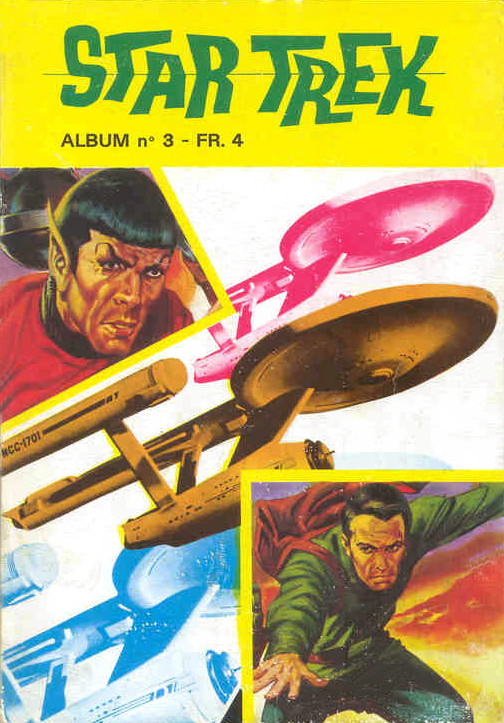 Original: GK#18 The Hijacked Planet, GK#12: The Flight of the Buccaneer, and GK#13: Dark Traveler (part 2) - 1971-1973. Cover: Original Gold Key cover art for GK#13. Original: The Motion Picture - 1979. 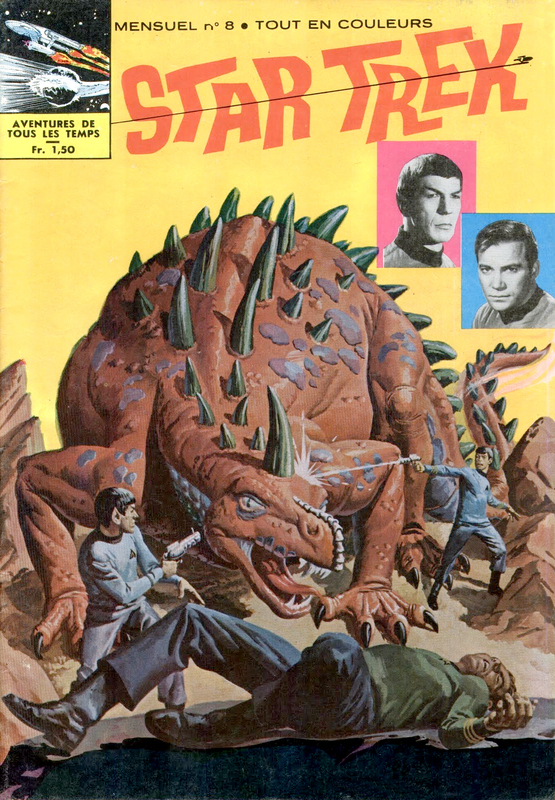 Cover: Original Marvel cover art. 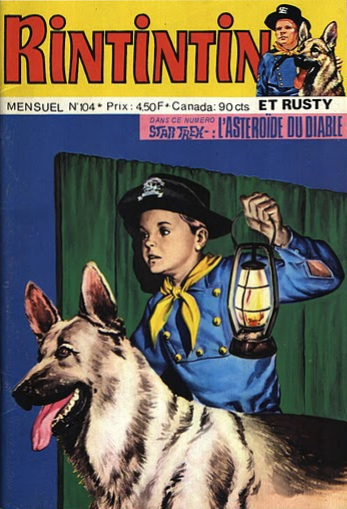 Arédit were the next to publisher, producing eight omnibus editions of DC Comics' first series, translating the first twenty issues in the series and the first annual. 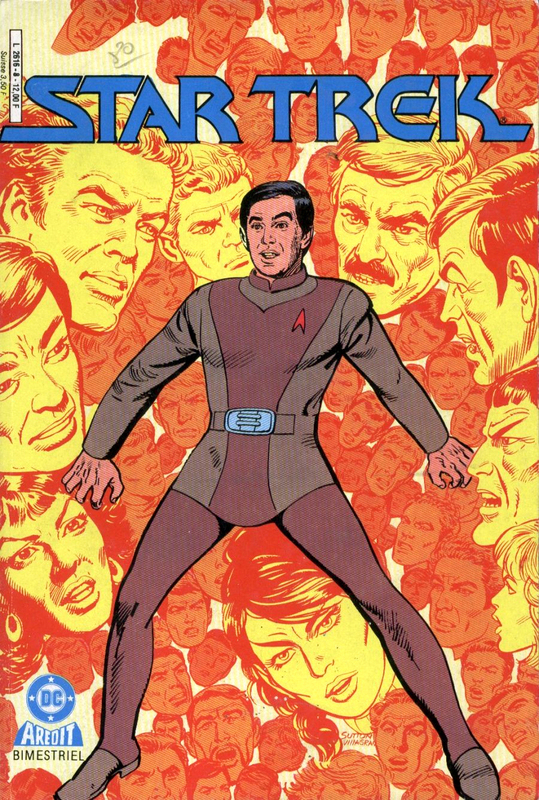 Plus a stand-alone release of the adaptation of The Search For Spock. 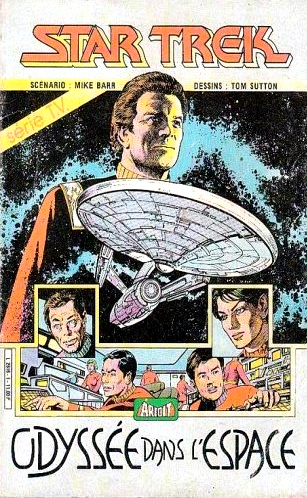 Original: DC#1: The Wormhole Connection, DC#2: The Only Good Klingon..., and DC#3: Errand Of War (part 1) - 1984. 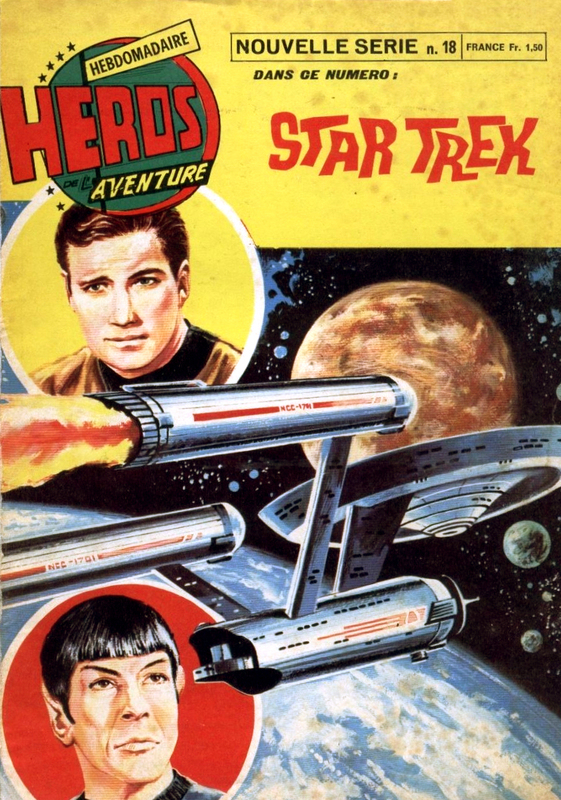 Cover: Uses the first page from DC#1. Original: DC#3 Errand Of War (part 2), DC#4 Deadly Allies, DC#5 Mortal Gods, and DC#6 Who Is Enigma? (part 1) -1984. Cover: Original DC cover art for DC#4. Original: DC#6 Who Is Enigma? 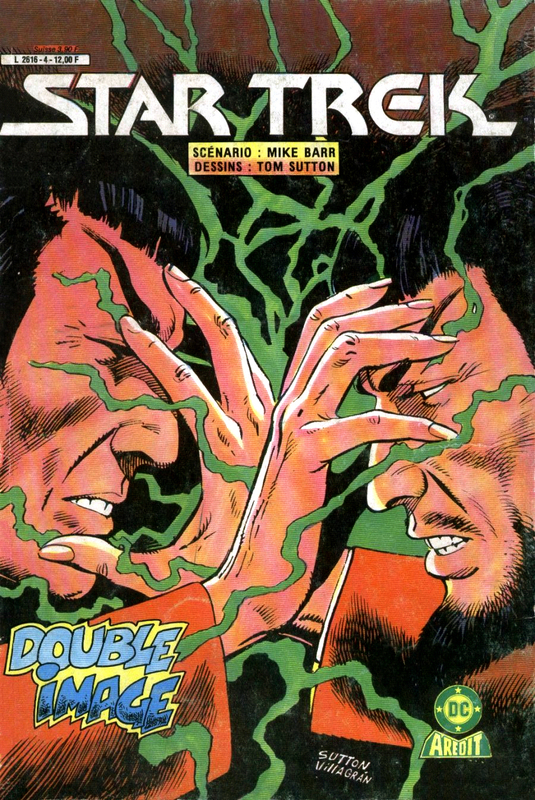 (part 2), DC#7 Pon Farr, and DC#8 Blood Fever - 1984. Cover: Original DC cover art for DC#7. Original: DC#9 Promises To Keep, DC#10 Double Image, and DC#11 Deadly Reflection (part 1) - 1984-1985. Cover: Original DC cover art for DC#11. Original: DC#11 Deadly Reflection (part 2), DC#12 The Tantalus Trap, DC#13 Masquerade, DC#14 Behind Enemy Lines (part 1) - 1985. Cover: Original DC cover art for DC#9. Original: DC#14 Behind Enemy Lines (part 2), DC#15 The Beginning Of The End, DC#16 Homecoming, DC#17 The D'Artagnan Three (part 1) - 1985. Cover: Original DC cover art for DC#12. Original: DC#17 The D'Artagnan Three (part 2), and DC annual#1: All Those Years Ago - 1985. Cover: Original DC cover art for DC annual#1. 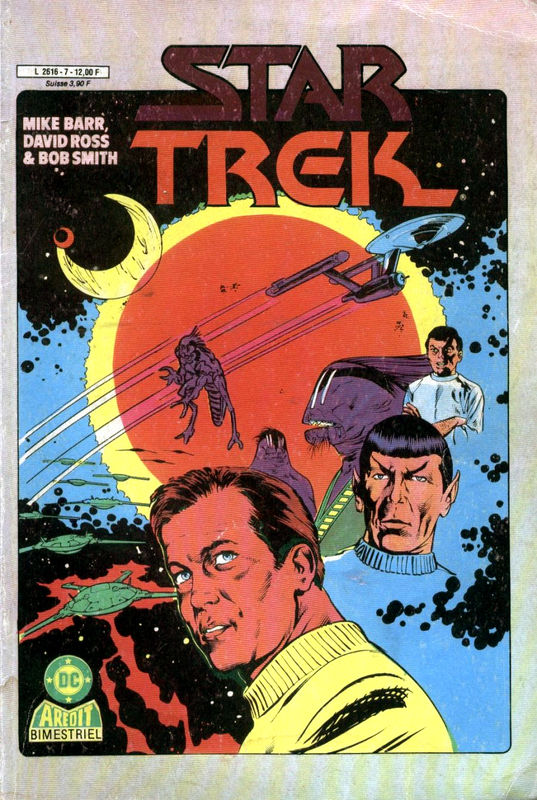 Original: DC#18 Rest And Recreation, DC#19 Chekov's Choice, and DC#20 Giri - 1985. Cover: Original DC cover art for DC#19. 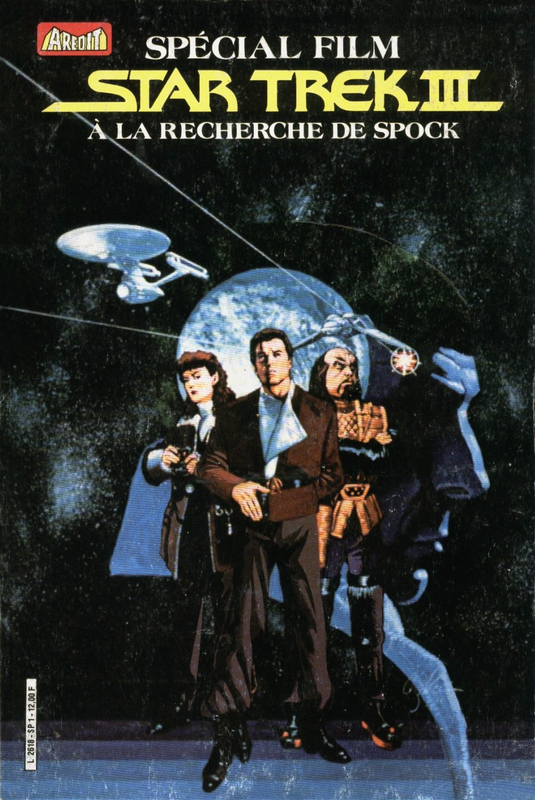 Original: Star Trek III: The Search For Spock - 1984. 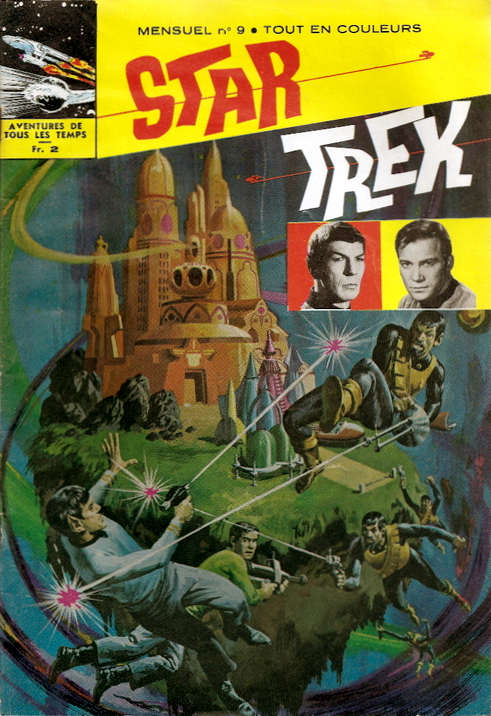 Cover: Original DC cover art. 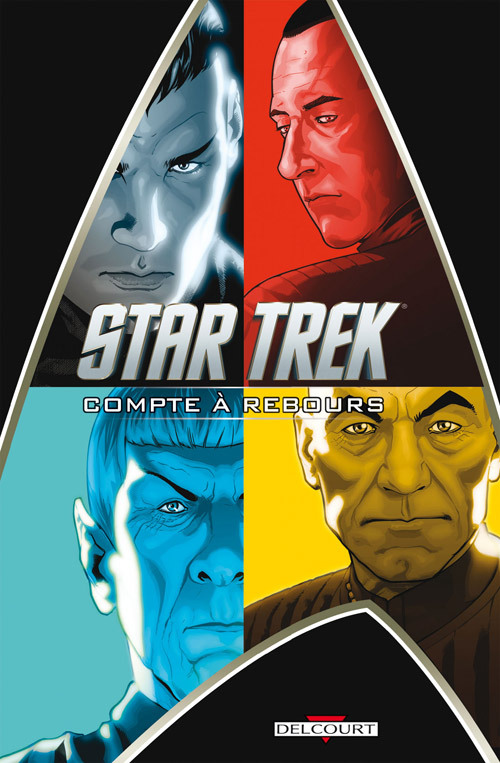 After a long time without French translations, Delcourt began to publish IDW Star Trek comics in 2009. 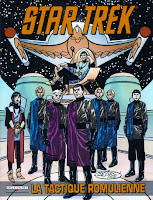 They have so far released three omnibuses of IDW miniseries, plus a special promotion copy of John Byrne's Alien Spotlight: Romulans, which was included with copies of the 2009 movie when it was released on DVD. Original: Alien Spotlgiht: Romulans - 2008. 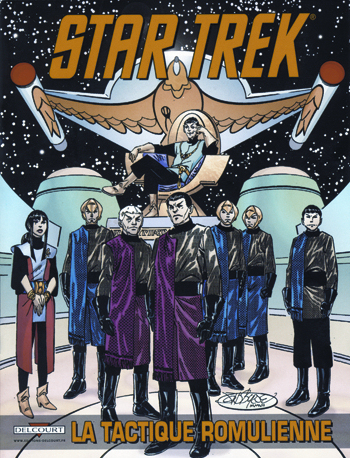 Cover: Original IDW cover art. 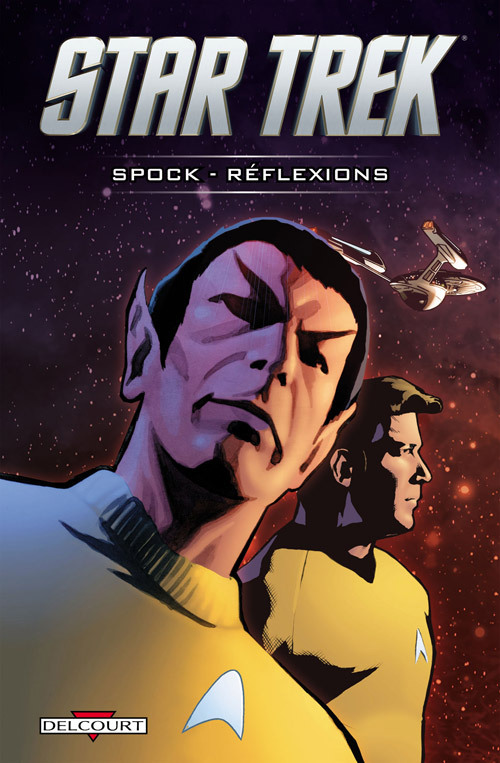 Original: Spock: Reflections - 2009. 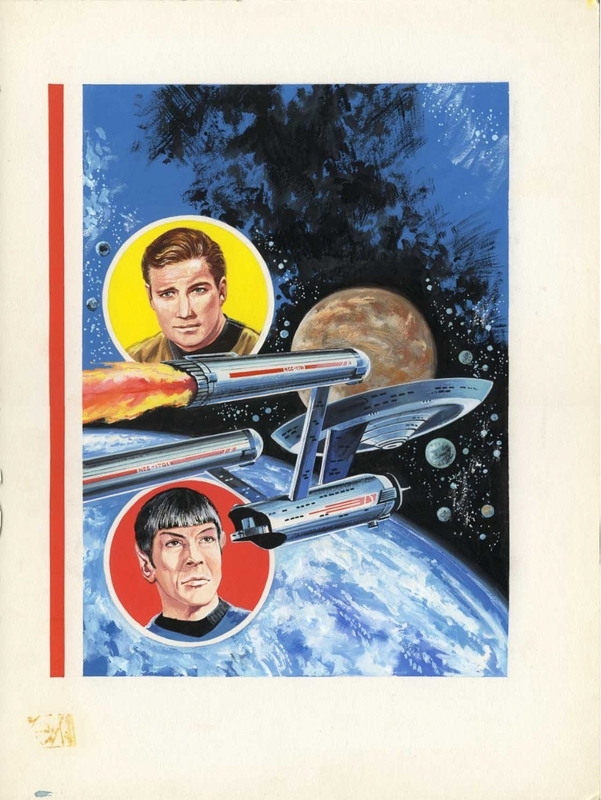 Cover: Montage of images by David A. Williams from retail incentive covers of the second and third issues of Spock: Reflections, plus the Enterprise-E by David Messina from interior pages of Countdown #2 and/or #4. 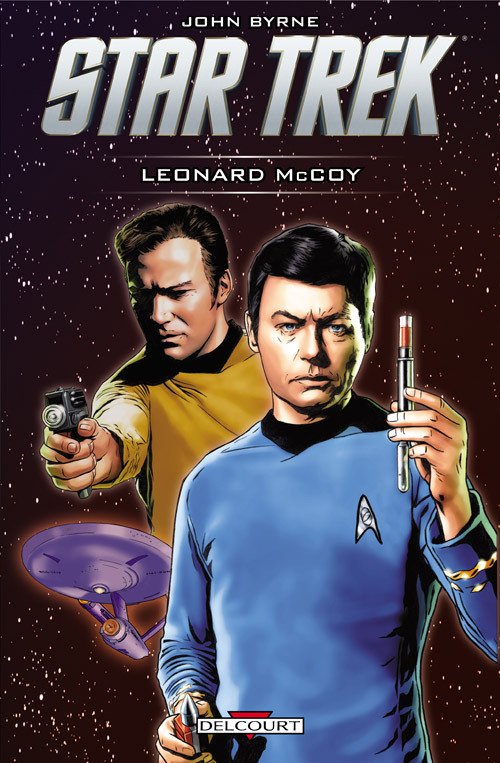 Original: Leonard McCoy, Frontier Doctor - 2010. 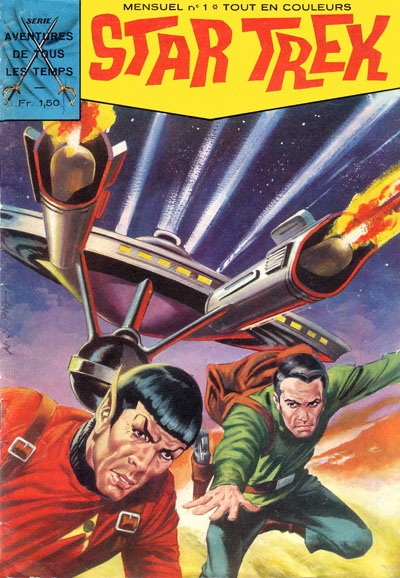 Cover: Montage, using Joe Corroney's images of Kirk and McCoy from the cover of Burden of Knowledge #4.